We left the house at 7:15 on this beautiful Sunday morning for church. The first service at EPC starts at 8. Bert took us on the new expressway, a toll road which is technically not open yet, but you can drive on it for free right now. It cuts off, I’d say, about 5 miles of the busy, busy Kampala-Entebbe Road. 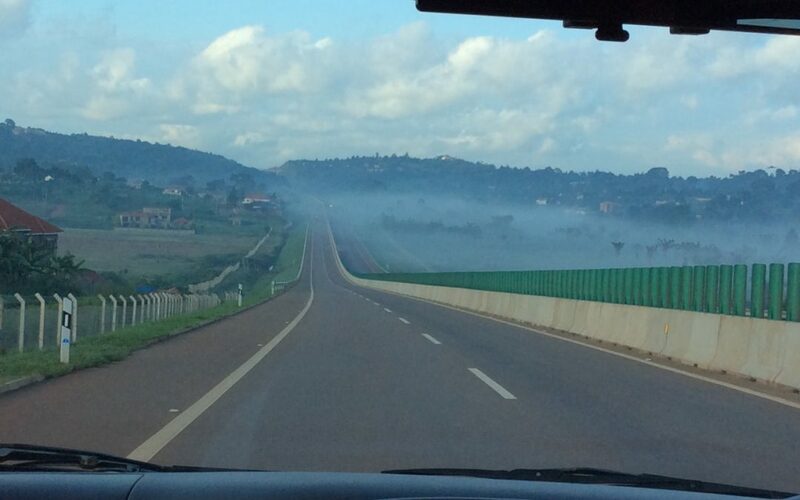 A beautiful highway, hard to believe we’re still in Uganda. 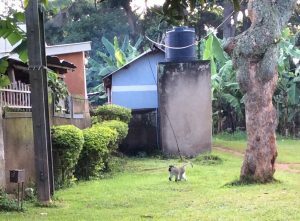 When we arrived at the church, we were greeted by a few monkeys who were playing in the church yard and feasting on some Jackfruit that had fallen from the tree. The first service got started right at 8, with Dale preaching on Deut. 6:4-9 and Eph. 6:1-4. This service was in English and more like a service we are used to. There were probably around 40 to 50 people in attendance. Between services we had Sunday school where we sat around in a circle and Bert interviewed us. He asked us to tell about our family life, since Dale’s teaching and preaching is all about raising children and a father’s responsibly in a family. We ended up in a good discussion about cultural differences in relation to men showing affection for their wives in public. 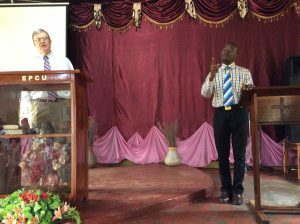 The second service was translated into Luganda, and Dale did a wonderful job with his translator Ronald. This service was much more lively, lots more worship music and what we’ve grown used to while in Uganda. 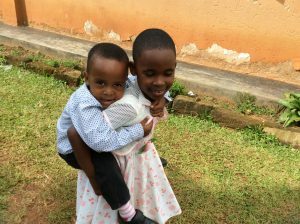 The church was full – around 100, including lots of children! It was a joy to worship with this church family. 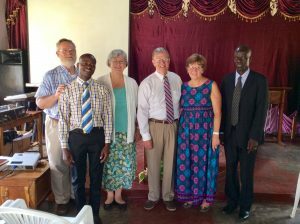 After the second service we were asked to meet with the church leaders because they had questions for us. So we were led into what is to be Pastor Milton’s new office. 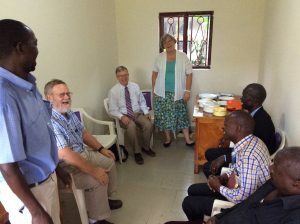 When the pastor and two elders, and another ministry leader came in, we had a good time talking. 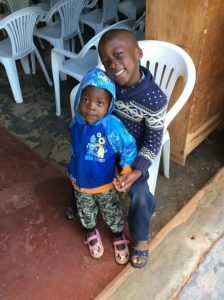 They wanted to show their appreciation for our ministry to them and ask a few more questions. After a while, some young girls brought in some lunch – matoke, rice and beans, and peanut sauce. 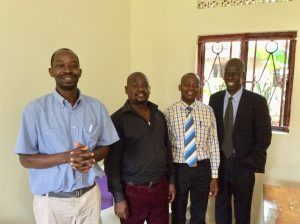 We spent over an hour in a great time of fellowship with these four men. We arrived home from church around 3, realizing that our churches back home had not even started their services for today. What a blessing to worship with brothers and sisters so far from us and what a blessing to me, to read of your visits and time of worship with them. So thankful for the Body of Christ! Praying for you all. Thank you for the updates.